Co-authored by renowned senior statesmen, this marks the first time Republican leaders put forth a concrete, market-based climate solution. 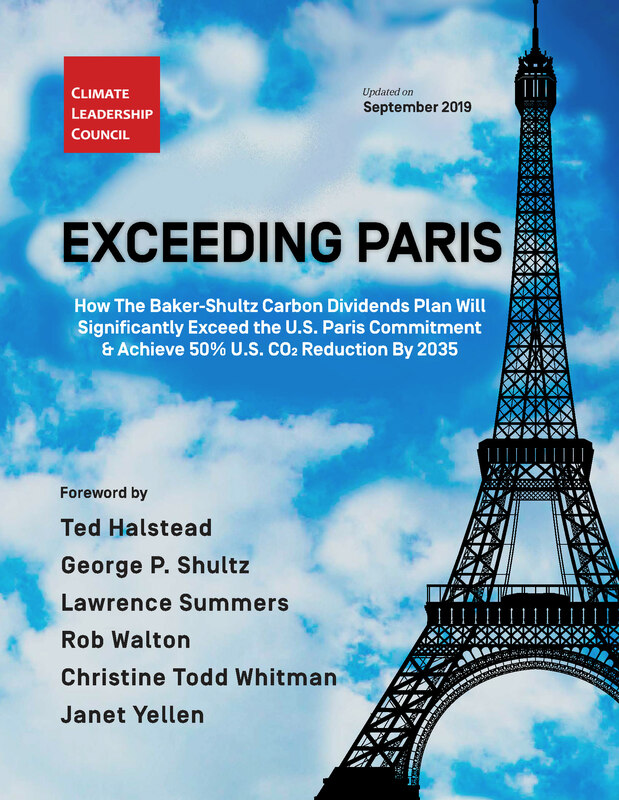 Why the Baker-Shultz Carbon Dividends Plan is the most ambitious and polticially-viable pathway to exceeding the U.S. target under the Paris agreement. 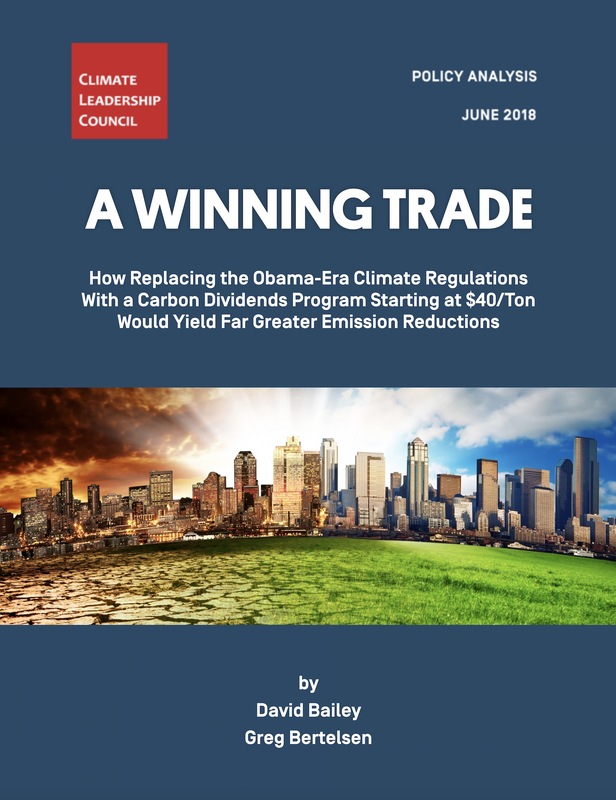 How replacing the Obama-era climate regulations with a carbon dividends program starting at $40/ton would yield far greater emission reductions. The Top 10 reasons why rebating all carbon fee revenues directly to the American people is the most popular, equitable and politically-viable climate solution. Why we are failing to reduce emissions in time, and how a carbon dividends plan could overcome the psychological, economic and political barriers. 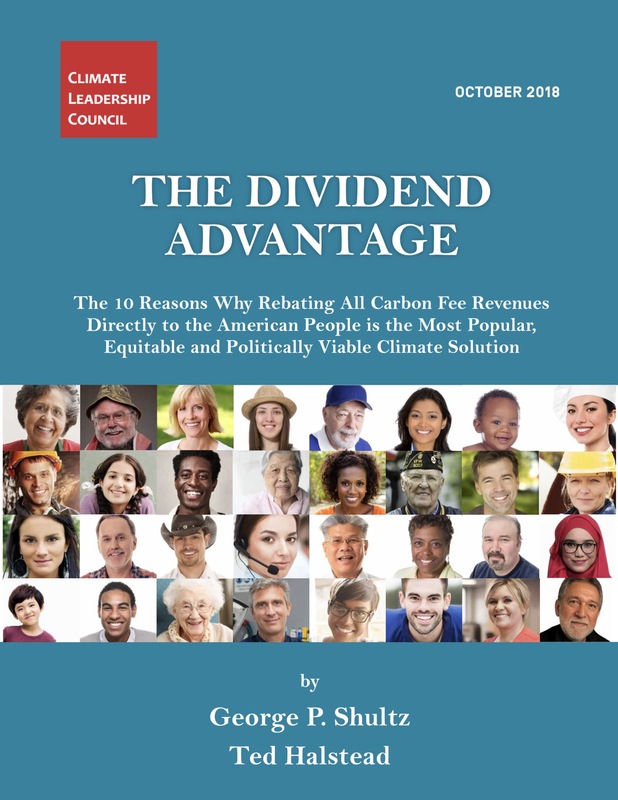 According to this recent analysis from the Treasury Department, the bottom 70% of Americans would be financially better off under a carbon dividends program.